I reached Limerick City Center on a Saturday. Walking to my pre-booked house, I saw a lot of people walking in and out through a street near the bus station. Since the baggage was really heavy, the visit to the market was out of question. Later that day, after a good sleep it was time for me to go and quench my curiosity. It was not too far from the place I stay. Being new, I took some time to understand the route. The sign boards were really helping and I realized that many of the roads were parallel to the main area. After some time I found the bus station and the opposite path led to the Milk Market. It is a funny name and I wondered if that is where the Irish people sell milk! To my surprise the main door to the market was closed and there were no crowd in the place. It was disappointing but it sharpened my desire to explore the place in detail. As one of my friends was staying near the market, I decided to ask him about this. He informed me that this is a place where farmers from in and around Limerick gather to sell their products. It is also locally called as the ‘Corn Market’ and traces its origin to the early 19th Century. And it is open only on the weekends. How is that possible? What is so special about this market? I couldn’t wait for the next day to observe and pass my verdict on these questions. It is Sunday and after checking my camera, I set off to the Milk Market. The main gate opens to a big tent like structure. There are people rushing into the market from all directions. It was a treat to my eyes and a peek into the history of Limerick. It was a feeling that the words could not explain. There was food, groceries, clothes, jewelleries, and fine Irish music. The food items were locally produced and these include bread, cheese, sausage, jams and many other tasty delights. The pastries were my favourite. Groceries are organic and grown mostly in their garden. The fresh fragrance of nature filled the tent with a positive energy. The stall near the crepe shop serves a wonderful breakfast. It has egg, sausages, black and white pudding, fry-rashers and a tasty home-made barbeque sauce. What a great way to start a day! If you are lucky, you may get a place to sit and enjoy these delicacies. It is then I noticed a seating area upstairs. Paving my way through the crowd, I reached the small area where I could do some people watching. There are tourists, babies, students, and old people- everyone gathering here to enjoy some time with themselves away from the busy schedules of life. The time passed by and the crowd started to disappear. I knew that it was an experience that you won’t find anywhere else in the world. Holding the bags of carrots and some bread, I slowly walked back home. I was happy that my first day in Limerick was so beautiful. Having visited many other places, the Milk Market remains as my most favourite place. There are many shops surrounding the market that are open on weekdays. Everything that is sold here has good quality and is decently priced. 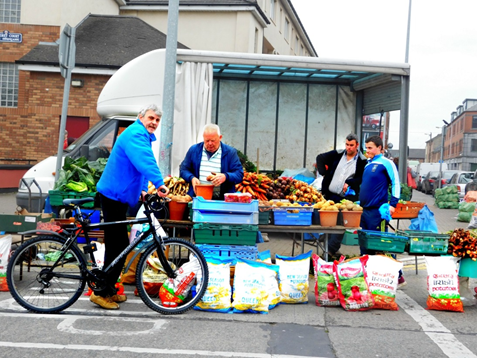 No one can feel the rhythm of Limerick without visiting this awesome market. And yeah, we go to the Milk market every weekend! 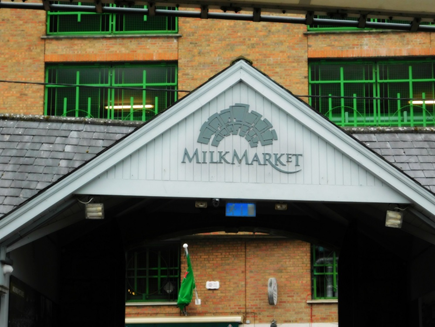 Visit http://www.milkmarket.ie for more information.